Control Keypads for MARINE AIR (DOMETIC) direct expansion and chilled water / marine chiller units. Available in black or white. Bezel included. Please contact us below (chat) with any questions you may have. 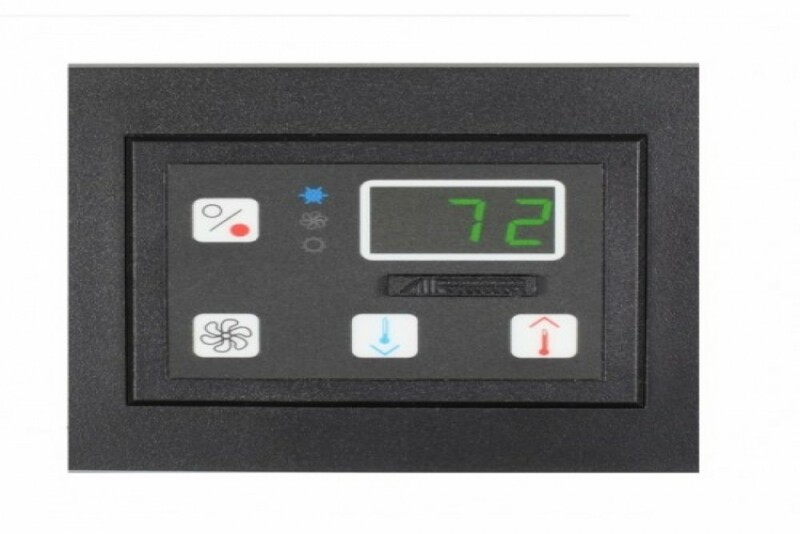 MFG#: 222000200 / 222000201 Easy-To-Use Keypad/Display for Marine Air Systems The Passport I/O Environmental Control Unit is a microprocessor based controller, designed for the precise control and monitoring of direct expansion and chilled water boat air conditioning systems from Marine Air. The control is dual voltage, operating at both 115 and 230 Volts, 50/60 Hz. The display is available in both black and white. In chilled water air handlers, the control is referred to as AH-Passport I/O. The assembly has a ground shield to protect against static interference and RF noise. The circuit board is conformally coated to provide high resistance to external damage or corrosion. Non-volatile memory stores all user-selectable parameters indefinitely during operation or any power failure situations.